January blows. Correction—January blows if you’re getting blanketed by snow in the East, drenched by rain in the West, or pummeled by dead birds in the South. But if you’re somewhere a little bit outside the States, let’s say the Turks and Caicos Islands, well, January can actually be pretty freakin&apos; sweet. 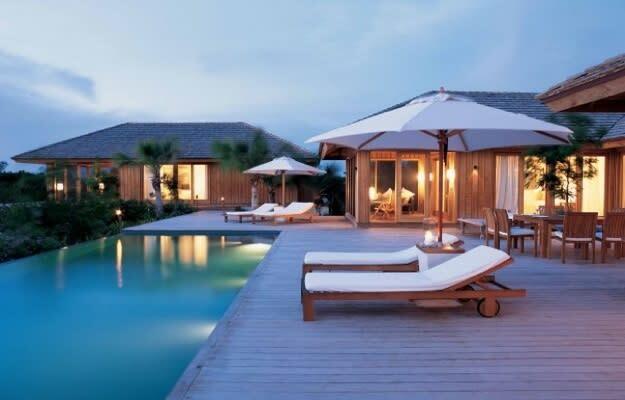 Case in point: The Como Hotel and Resort, in Parrot Cay. From spas that spoil you to private pools, this place is awesome. The weather hovers around the 80s this time of year, so you won’t have to bundle up like the rest of us saps. Well, actually, that’s only if you got it, because this place costs a grip (try 2 Gs for a one bed suite—and that&apos;s on the cheap side). If you don’t have the bread, just enjoy the view from the Internet. It’s almost as good as being there. OK, not really. Not really at all. You can go kick a snowdrift if you&apos;re mad though.